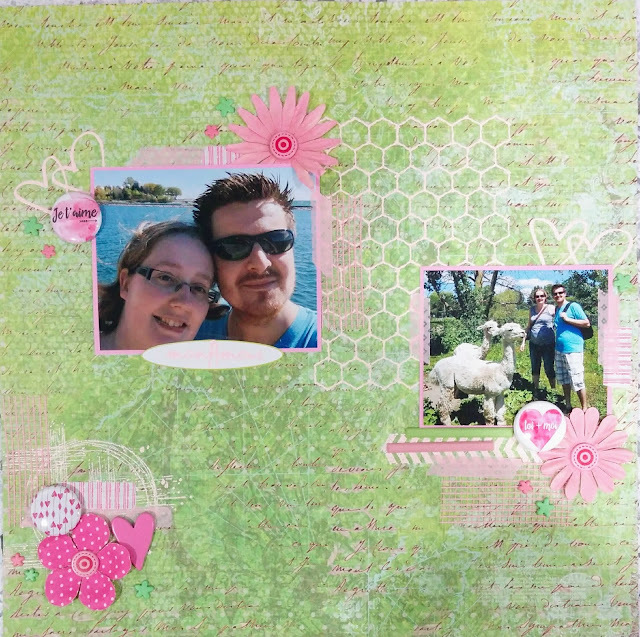 Today I'm showing you a scrapbook layout. These pictures were taken a few years ago, while I was pregnant with our first child. We were visiting Ontario, Canada. I'm glad I finally found the inspiration to scrapbook these memories! A little close-up on the title "mon amour". Since I embossed with light pink embossing powder on white paper, it's hard to see on the picture. Thank you for visiting my blog today. Please leave me a comment, I love to read them! These pinks against that green are so pretty! 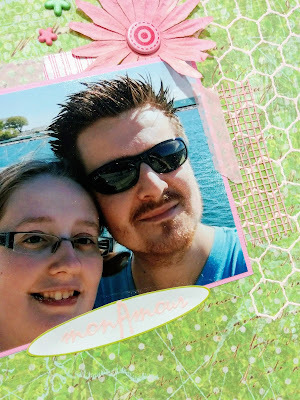 I enjoyed your layout - thank you for sharing it with us at the Simon Says Stamp Wednesday challenge!